Partnering together to bring the plans and dreams of an organization closer to reality. After being asked to conduct a complete audit and review of their efforts and team in the Fall of 2017, we were so proud to be asked to partner long term with MB Seminary. We admired and were motivated by the excitement and ambition of the MB team, and proudly continue to call them a partner. 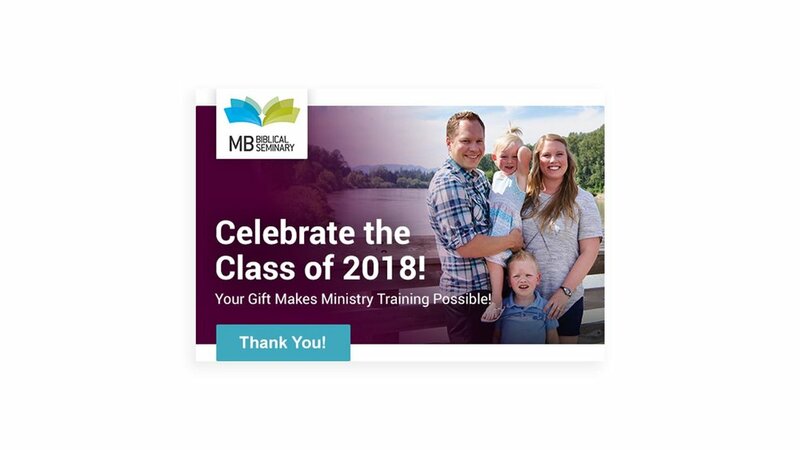 Working with MB Seminary, we used our experience in direct fundraising to help create a new suite of marketing materials, to improve their audience reach and stewardship activities. We were able to faithfully expand the use of the brand to a whole host of new pieces, to fully support activities. Charity Electric now provides their direct marketing and fundraising communications, while helping to guide and advise their team as they grow and reinvent themselves!